What&#8217;s the matter with NAVs? What’s the matter with NAVs? Mutual fund investors have a choice of investing either in dividend or growth options. But, industry experts say since net asset value (NAV) of a growth option tends to be higher than a dividend option, investors tend to put more money in growth options. For instance, on 31 August, growth and dividend options of mutual fund HDFC 200 had NAV at Rs126 and Rs41. But, do you know why the NAVs of the two investment components differ? And, does a higher NAV really translate into more income for investors? 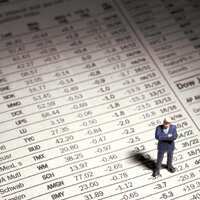 Investors would be well advised to treat a mutual fund’s NAV as essentially its price per share. NAV is the current market value of the fund’s net assets—securities held by the fund minus any liabilities—divided by the number of outstanding shares. The difference in the value occurs because the growth option reinvests the income generated by it back in the mutual fund, while the dividend option disburses it to the investors. Therefore, the day on which dividends are declared, the NAVs of both the options tend to differ. The NAV of dividend options tends to reduce by the percentage of dividend declared. This, however, does not suggest that on any given day, the total dividend declared in a year would be equal to the difference between NAVs of the two options. The difference also depends on market movement. Let’s study the case of HDFC 200. On 31 August, the fund was trading at Rs126 and Rs41 but if the market had gone up by say, 10%, in the next 10 days, NAV accordingly would have gone up by 10% to Rs138.6 and Rs45.1. This explains why the new difference of Rs93.5 is higher than the previous difference of Rs85. So, what should the criteria be for selecting to select a fund option? If you need money at regular intervals then the dividend option is a good bet but, if you are saving for the future, then the growth option can rake in more money at a later stage of your life. Otherwise, selecting an option just by looking at NAVs is not a bright idea. The choice would depend on your needs and goals. In addition, at any time before maturity, the investor can have the units cashed. One of the benefits of growth funds is that the dividend automatically gets reinvested in the fund and, therefore, you don’t need to look for other investment avenues.